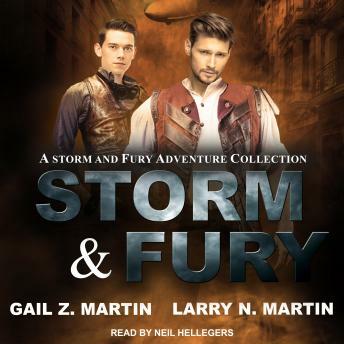 Listen to "Storm & Fury: A Storm & Fury Adventures Collection" on your iOS and Android device. New Pittsburgh, 1898-a crucible of invention and intrigue. Born from the ashes of devastating fire, flood and earthquake, the city is ruled by the shadow government of The Oligarchy. In the swarming streets, people of a hundred nations drudge to feed the engines of progress. The Department of Supernatural Investigation was set up to take care of those things that live below, that go bump in the night . . . those odd cases that go beyond 'standard' investigation. Nicknamed 'Storm and Fury', Mitch Storm and Jacob Drangosavich are two of the more creative agents, working in New Pittsburgh and obeying the rules-when they have to.